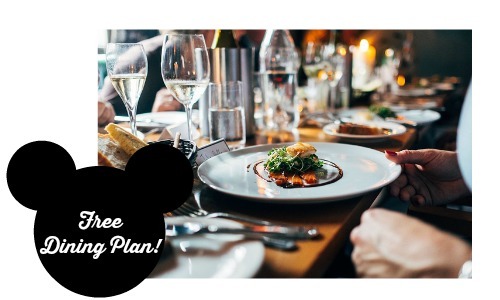 If you’re heading to Disney anytime soon, be sure to sign up for the FREE Disney Dining Plan. Get a FREE dining plan when you purchase a 6-night/7-day Hotel + Park Hopper or Water Park Fun Pass (includes hotel reservation and park tickets). Food at Disney is expensive, so this is one of the best ways to save. Please note that this offer only applies to select hotels and a non-discounted ticket purchase. If you would like to learn more about how to save at Disney parks, please check out my post on buying tickets and saving on lodging. This offer expires 7/10.